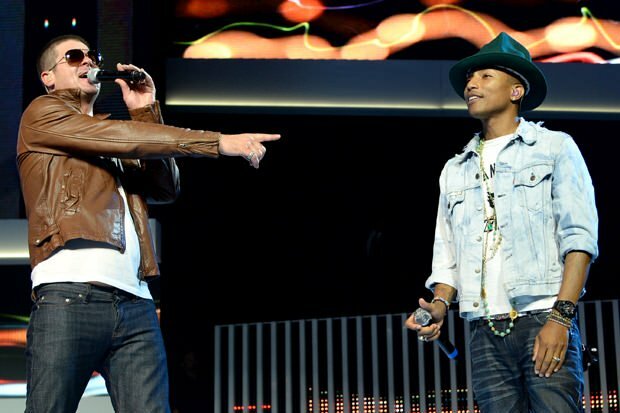 Robin Thicke and Pharrell Williams have lost the first round in their battle against Marvin Gaye’s family over their 2013 hit Blurred Lines. The singers-songwriters filed a lawsuit after being threatened by Gaye’s family, who accused them of stealing parts from Gaye’s song Got to Give It Up. Kronstadt’s ruling saw similarities in the two songs’ bass lines, keyboard parts, vocal lines, melodies and harmonies. The trial is scheduled for Feb. 10, 2015. Billboard claims that this case could be one of the biggest trials over alleged song theft ever.